The design uses a single colour of Soie D'Alger, along with a matching Delica Bead and Swarovski Crystal. 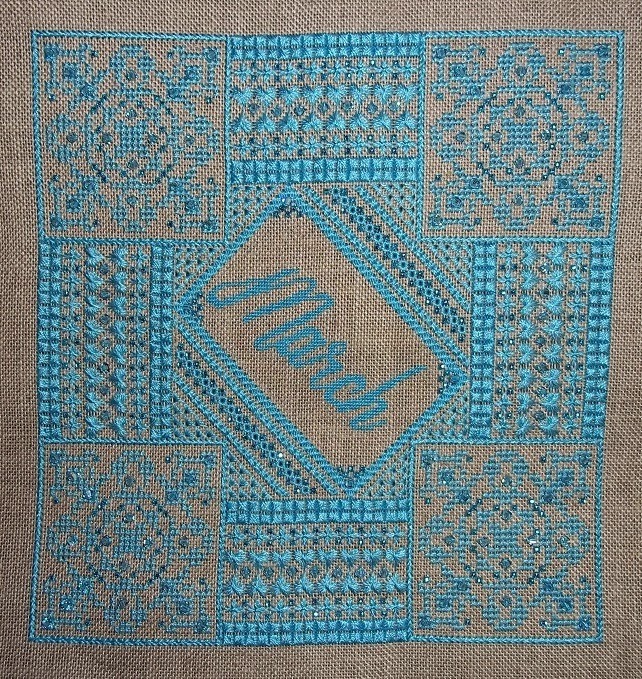 These designs are mostly specialty stitches, combined to create different effects and textures, and the chart includes diagrams for all stitches used. The entire series is stitched on 32ct Raw Belfast Linen from Zweigart.